October 15, 2018 – The Santa Fe College Teaching Zoo will be holding its annual “Boo at the Zoo” event Wednesday, Oct. 31, 2018, from 3 – 7:30 p.m. 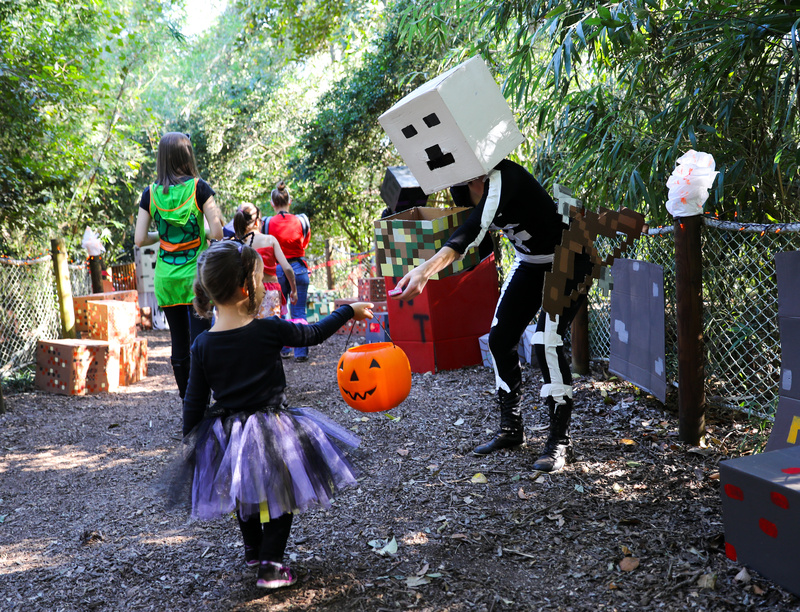 Visitors can come in costume and walk the quarter-mile trail transformed by the SF Teaching Zoo’s students and staff. The zoo is also wheelchair and stroller accessible. In addition to the candy and Halloween themed trail, there will be plenty of entertainment provided in part by Danscompany of Gainesville. Their performance of Thriller has long been a fan favorite. There will also be an interactive KidZone, courtesy of Fun 4 Gator Kids, and Dominos will be at the zoo, providing pizza and refreshments for a small fee. Trick-or-treaters need to make sure they have a bag or bucket to collect all of the candy at Boo at the Zoo. More than 150,000 pieces of candy are distributed during the event, but it’s not just any candy. The zoo will only give out candy from companies that promote the sustainable use of palm oil. Palm oil comes from the African oil palm tree, which, when planted, destroys the habitat of wild gibbons. By using companies that promote sustainable use, they help protect the future of gibbons. Happy Halloween from everyone at the SF Teaching Zoo!